Given the enormous popularity of In-app referrals, it is evident that most app marketers would want to dabble in it. However, there are a few pain points associated with gratifying users while running a referral campaign, more so when the mode of gratification are coupons! 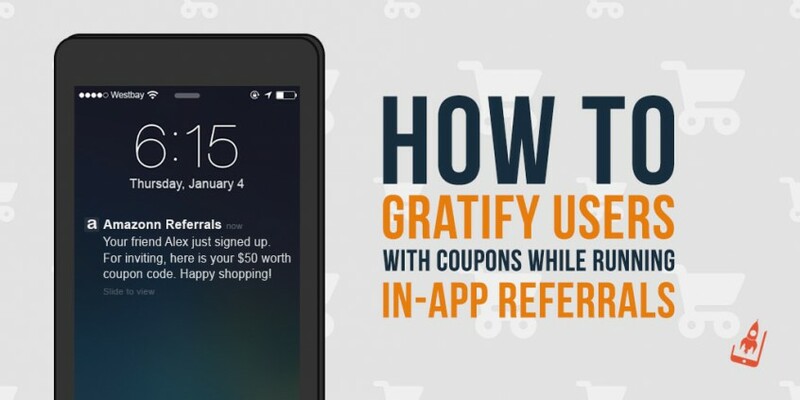 Managing coupons as a part of an app referral program isn’t easy. It requires constant monitoring and can lead to numerous debacles if it isn’t handled with expertise. While coupons remain a wonderful gratification method, they may pose a few challenges. In the absence of a mobile wallet, a few apps may find it difficult to dabble with coupon campaign. For example, a shopping app may want its users to invite friends and earn credits or discounts, however may find it impossible in the absence of a wallet. This may limit their chances of engaging users with a high-voltage campaign. Another example is when a news app may want its readers to read a few articles every day and earn discounts on their partner websites or apps, however gratifying users with coupons becomes a pain point for them. App marketers with no wallet option usually tie up with multiple vendors such as Starbucks, UBER or Amazon to gratify their users. However, even with exciting tie-ups app marketers cannot make the most of this opportunity due to their inability in delivering these coupons based on user or vendor choices. Example 1: User might get the same vendor coupon every time he/she invites a new friend to your app. Example 2: User might get the same vendor coupon every time his/her friend finish an event (Signup/Transaction) within the app. This deprives users of a fantastic user experience since they get a similar coupon type at each event point such as sign-up, transaction, and installation of an app. Running campaigns with coupons as an incentive is one thing and providing real -time assistance to app marketers is another. Most marketers face issues in the absence of real-time coupon data such as the number of coupons remaining etc. This can pose severe damage if a campaign goes viral. 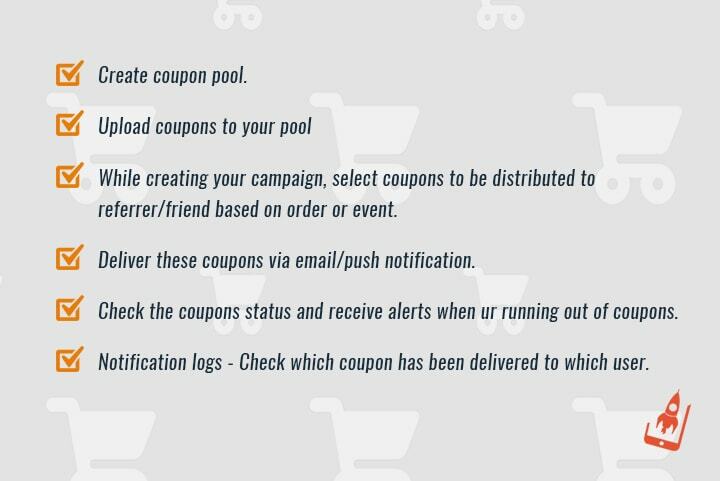 At AppVirality, we understand the dynamics of referral marketing and thus have developed a full proof and easy to customize coupon pooling system to gratify users. This 6 step system not only provides relief from the above-mentioned challenges but also eases out the deliverables for app marketers. Here’s how app marketers can use AppVirality dashboard to run systematic and error free coupon campaigns. 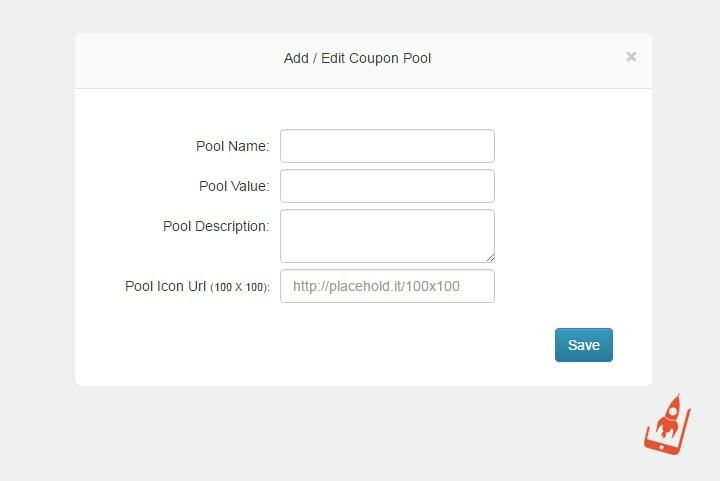 Marketers can choose to create coupon pools for either the referrer (in case the referrer is eligible for a coupon) or a friend (in case a friend is eligible for a coupon) which can be differentiated by value and description. AppVirality dashboard simplifies data recognition by encouraging app marketers to input concrete information about each coupon pool. This feature can come in handy when a large team with is handling the dashboard. App marketers can choose to upload either single or multiple coupons depending on the gratification type. 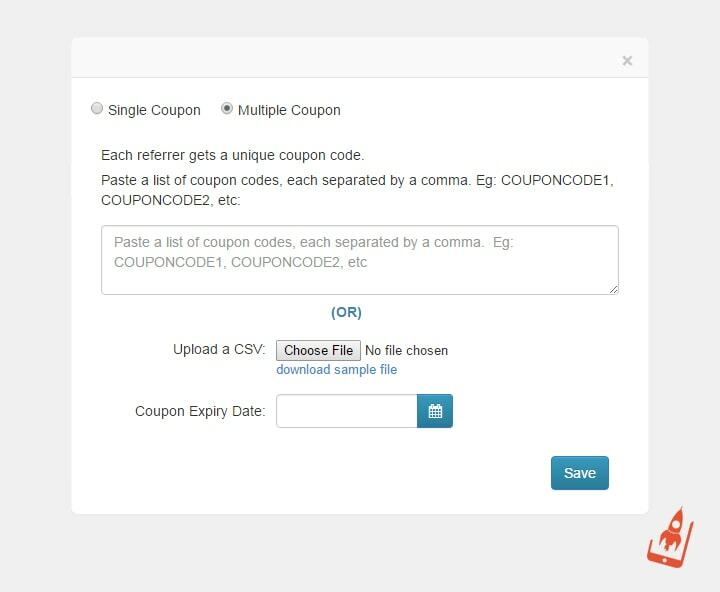 Multiple coupons can be uploaded with a simple CSV upload which eradicates human errors while adding coupon details, completely. Real-time data plays a critical role here since app marketers should know the status of coupon consumption at all time. The AppVirality dashboard provides real-time data to marketers under ‘distributed’ and ‘remaining’ status. 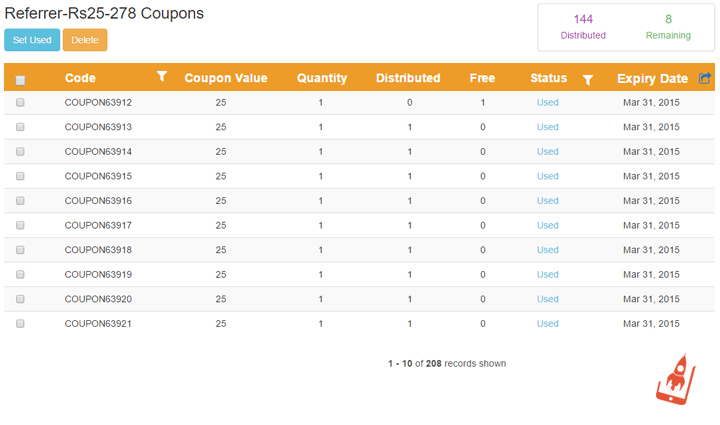 Once the coupons are uploaded marketers can select the distribution method based on order or event. We’ve explained both the methods in the GIFs below. This step involves entering the requisite email or push notification credentials and the solution takes care of the rest. 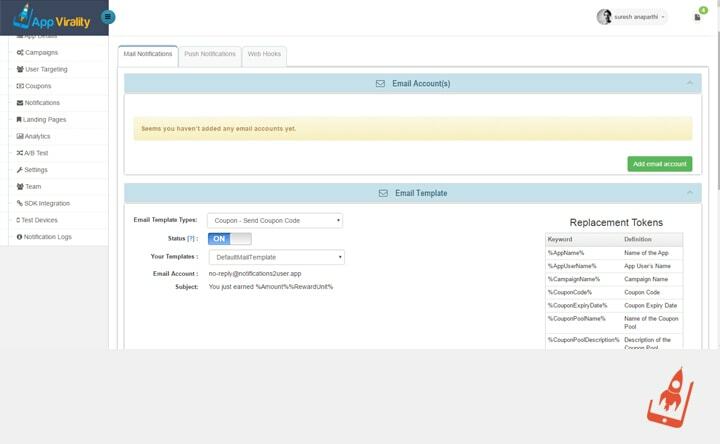 The email template type can also be customized giving further flexibility to the app marketers. For marketers with an interest in push notifications, the solution provides Android and iOS support. The fundamental nature of a referral campaign is virality. This aspect of the marketing tactic leads to various peaks in a live campaign, making it essential for app marketers to be aware of the coupon status. Coupon campaigns that falter on such deliverables do not go down well with users. AppVirality aids app marketers by providing them real-time updates on coupon status which prevents any delay in the release of coupons. AppVirality provides a strong notification log to users who can glance through the various metrics and check which user was given which coupon to avoid any issues that may arise with regards to coupon distribution. In the absence of a rigid system, app marketers may feel the heat in case of lapses. AppVirality dashboard provides a single view of the coupon status. The system attempts to reach the customer, at least, five times before updating the records. This way app marketers can run successful campaigns without any pressure. Running In-app referrals with coupons should be a painless and pleasurable exercise for both the user and the app marketers alike. With a product like AppVirality, app marketers can eradicate all the pain points and sustained and viral campaigns. Sound growth hacks, tips and tricks from the team at AppVirality. AppVirality provides a drop-in SDK to implement Uber/Airbnb like in-app referrals, without having to code.Do drop us a line and we'll be glad to help you!